The premises are prominently located in Station Road, Wokingham close to the entrance of Wokingham railway station. Wokingham is an attractive, historic market town which has undergone extensive regeneration in recent years with enhanced retail and local facilities. Wokingham is strategically located in the centre of the Thames Valley being in close proximity of the M4 (Junction 10) with direct ccess via the A329(M). Frequent train services are available to Reading (8 minutes) with connections to London Paddington. In addition there are direct trains from Wokingham to Waterloo. 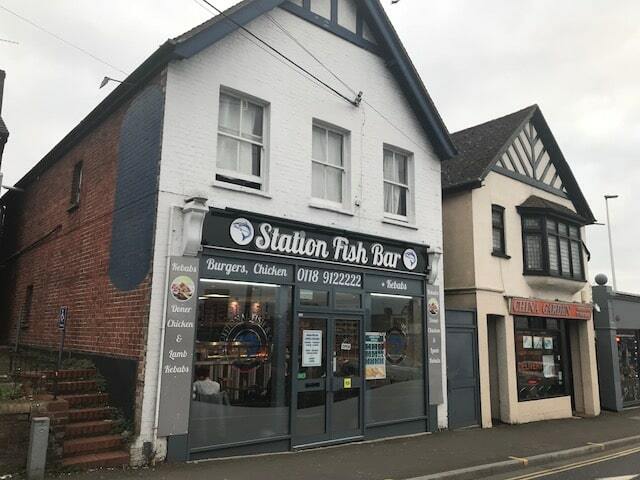 Premises comprise detached shop property with the benefit of A5 takeaway use, food preparation and extensive ancillary storage areas together with the benefit of rear access off Wellington Road. There is a good size flat above which is separately accessed and providing originally two bedroom accommodation which has been now adapted to provide four bedrooms, kitchen and WC. View brochure for full terms.